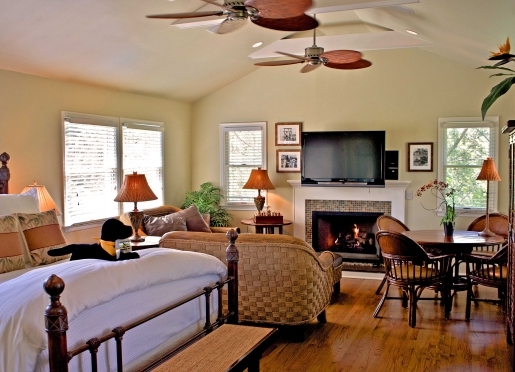 The Mill House Inn is a luxurious East Hampton, NY bed & breakfast providing elegant lodging and warm hospitality. 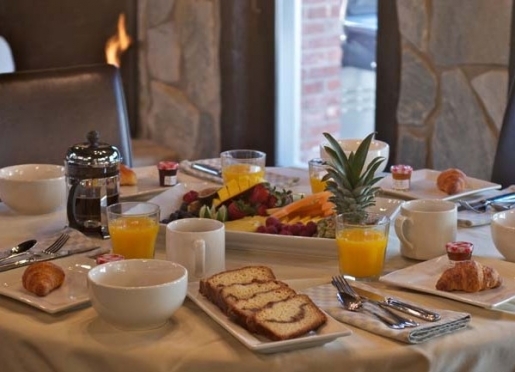 Our striking rooms, beautiful suites and "the best breakfast in the Hamptons" consistently receive excellent reviews. 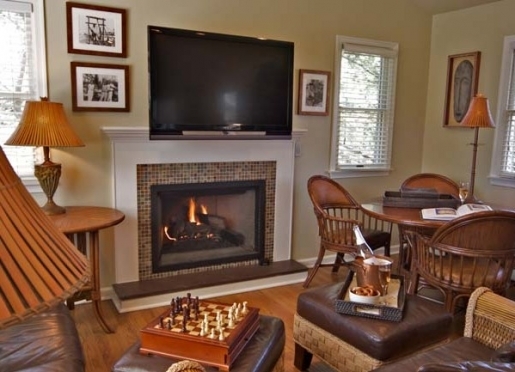 Zagat's proclaimed our superb East Hampton inn one of the "Top 50 Small Hotels" in the US. Travel & Leisure featured us as "Inn of the Month." 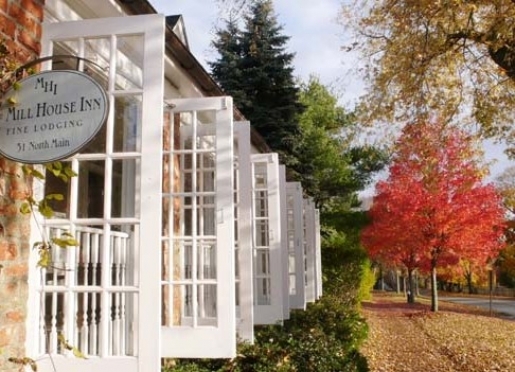 New York Magazine rated us one of the "Top 10 Inns in the Hamptons" and American Historic Inns chose us as one of the "10 Most Romantic Inns." Situated in the heart of one of America's most beautiful villages, surrounded by endless ocean beaches, pristine bays and picturesque country roads, our intimate East Hampton bed and breakfast is just steps from world-class restaurants, shops, galleries & theatres. We are within walking distance of the ocean and a short drive to the Hamptons' myriad attractions - fishing and surfing in Montauk, farm stands in Amagansett, antiques in Sag Harbor, wineries in Bridgehampton and the mansions of Southampton! 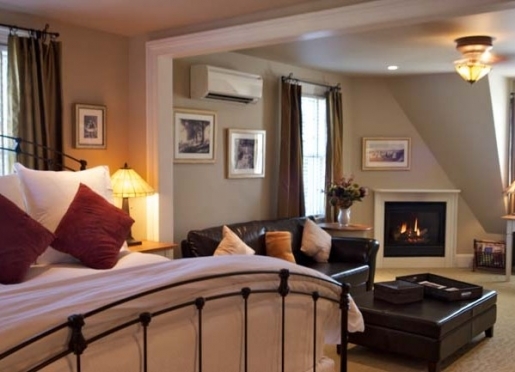 During your stay at our charming Hamptons B&B, enjoy beautifully appointed rooms and spacious dog & child-friendly suites, quality amenities, fine linens, featherbeds, fireplaces, whirlpool baths, steam showers, lush gardens and a leisurely breakfast our guests proclaim "simply the best." Let the concierge at our accommodating Hamptons bed and breakfast help you plan your day's adventure - experience a massage in your luxurious suite or a run on the beach with your dog, a tour of the Long Island Wine Region or a family outing at the Children's Museum, golf at Montauk Downs, horseback riding on the beach or just curling up with a good book in front of your fireplace. 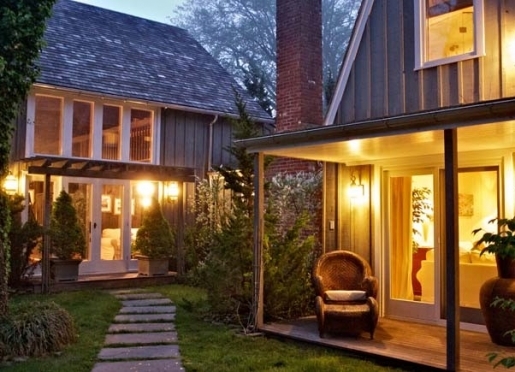 We are thrilled to now be offering our new Graybarn Cottage - a 4 bedroom luxury home rental in the heart of East Hampton Village with a 40-foot swimming pool, hot tub, and gourmet kitchen, plus all the amenities of our luxurious inn in East Hampton - fine bedding, maid ser vice, concierge on call and more. 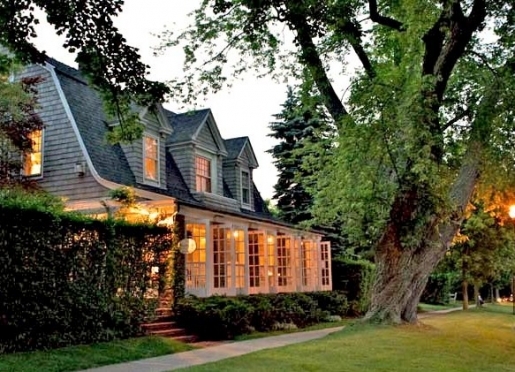 Whether you travel to East Hampton for a honeymoon or family vacation, business conference or romantic getaway, our attention to detail, attentive concierge service, old-fashioned hospitality and a wonderful relaxed atmosphere assure your visit to our exquisite Hamptons, NY bed and breakfast will remain a treasured memory. Visit our Website and read our Press & Guest Reviews to see what they are saying about our beautiful Amagansett bed and breakfast. Check out what's New & Notable in the Hamptons, our Gallery to see why we love it out here, Breakfast to start salivating over Gary's menu, Accommodations to choose the room that's just right for you, and Availability to book your reservation online for your stay at our lovely bed and breakfast in East Hampton. Travelers are always looking for memorable and relaxing experiences. Let’s discover more through the words of our innkeepers. Many thanks to Sylvia Muller for sharing her own secrets with BBOnline.com! The majority of our guests are traveling for leisure, whether for romance or with dogs and children. Those who travel on business also appreciate the relaxed atmosphere and personalized service we offer. 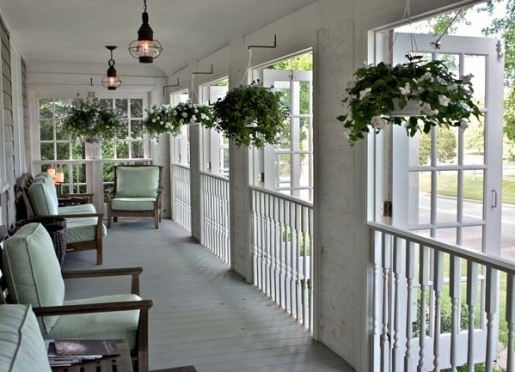 All of them stay at the Mill House Inn because it is the best place to stay in the Hamptons! We are best known for our "over the top" service which includes everything we do from our award winning breakfast to our "relaxed luxury" in furnishings and design, and - of course - our "Personal Assistants" who's thrill it is to assure that your stay with us is WOW. What I love most about the Mill House Inn is our guests! 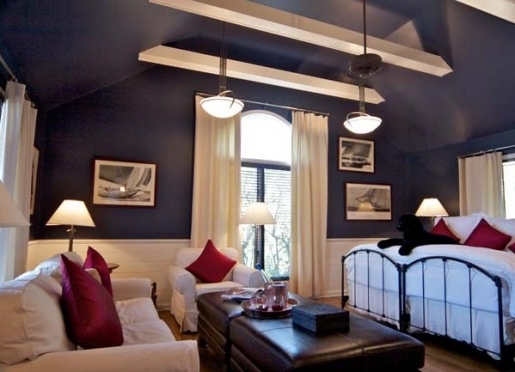 To stay at The Mill House Inn! Oh, and to enjoy our historic village; ocean, bay & harbor beaches; great shopping, restaurants, galleries and theaters; wineries, fishing, farm stands, film festivals, horse shows and so much more… And I would be remiss not to mention celebrity spotting. 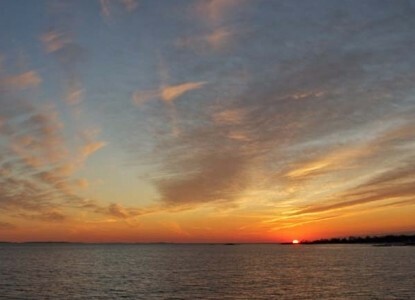 The Hamptons are known world round as the playground of the rich and famous. 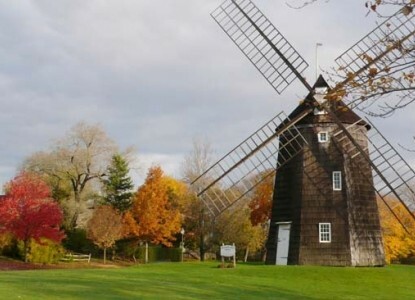 What is not so well known is that East Hampton township has over 65% preserved green land, encompassing beaches, estuaries, nature trails, walking dunes, working farms and historic sites - all open for the enjoyment of our guests. Relax. Explore. Eat, drink and be merry! 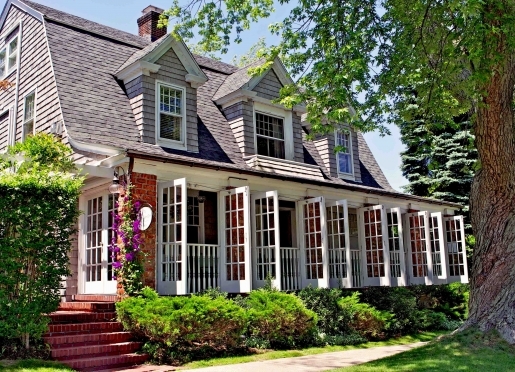 We are fortunate to be located on a residential street in the heart of the historic village of East Hampton - within walking distance of world class restaurants, shops, galleries & museums. The closest of the ocean beaches is just over a mile from the Mill House Inn - a lovely walk or bicycle ride down picturesque lanes. At this time we only serve breakfast and only to our guests - but it is certainly a culinary highlight of the area! 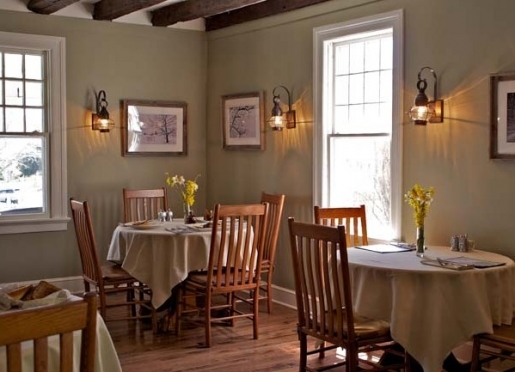 Some of our favorite restaurants are the East Hampton Grill, Rowdy Hall, Nick & Toni's, Fresno, Citta Nuova and the 1770 House - all within walking distance of the inn. And all of them will do take out for our guests who prefer to dine in the inn's dining room or the comfort of their own suite. We provide a comprehensive guide of "where to go and what to do" in the area and a weekly calendar of events on our website. For anyone interested in delving deeper into the history and gossip of East Hampton I highly recommend Steven Gaines' "Philistines at the Hedgerows" and Everett T. Rattray's "The South Fork - The Land and the People of Eastern Long Island." 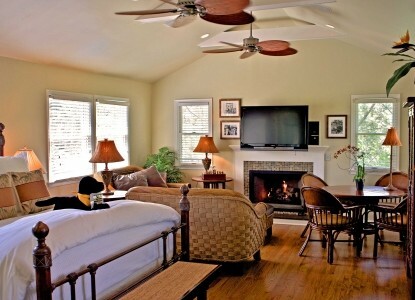 We have 4 rooms, 6 suites and a 4 bedroom house, the Graybarn Cottage, which we rent with full boutique hotel services. Good dogs are welcome to bring their people to stay in most of our suites and our Graybarn Cottage. We provide dog beds & dishes, organic treats, and our chef is happy to prepare fresh dog food for our four legged friends. "Start your day with really good food, eat breakfast at the mill house inn"
"Everything- bread, eggs, fruit are top quality and fresh- all a bit better with a touch of knowledge & discernment. It is a pleasure to be here". "Happy 1st Anniversary! We are already looking forward to our next visit and to another fabulous breakfast". "We will definitely be back, especially for more cookies!" "Your breakfast is outstanding and everything is perfect. We'll come back next year". "Gary's breakfasts (the French toast wow- was one example) are simply outrageous". "It is so lovely every inch is perfect and breakfast is the Best!" "The breakfast simply scrumptious! The home made cookies were a lifesaver!" "p.s. : Just plain breakfast will no longer do!" Ideal for intimate weddings, executive retreats, or reunions, our Graybarn Cottage offers all the services and amenities of the inn combined with the privacy and seclusion of an exclusive Hamptons estate. The property is pet and family friendly, and includes a three bedroom main house with a loft and a one bedroom guest house. 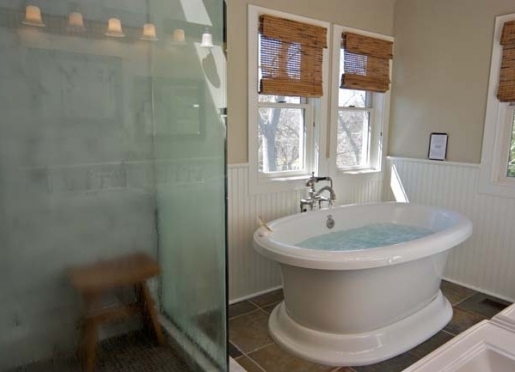 Enjoy luxury bathrooms with soaking tubs and steam showers, a fully stocked kitchen, breakfast delivered daily, and private gardens with a spa and pool. We are happy to accept children in an appropriate room at $75 per night extra. We can provide pack & plays or inflatable mattresses, if necessary. We are certainly dog lovers at The Mill House and are very happy to welcome you and your four legged best friend in an appropriate suite. We will gladly cook them breakfast, healthy of course. We supply dog beds, nightly turndown with treats, bowls for food and water and directions to the best dog friendly beaches. In season dogs are not allowed on most ocean beaches from 9am to 6pm, though many bay beaches allow dogs at all times. Please review our "dog policies" to assure that your stay with us is a pleasure for all concerned, and please contact us with any questions.